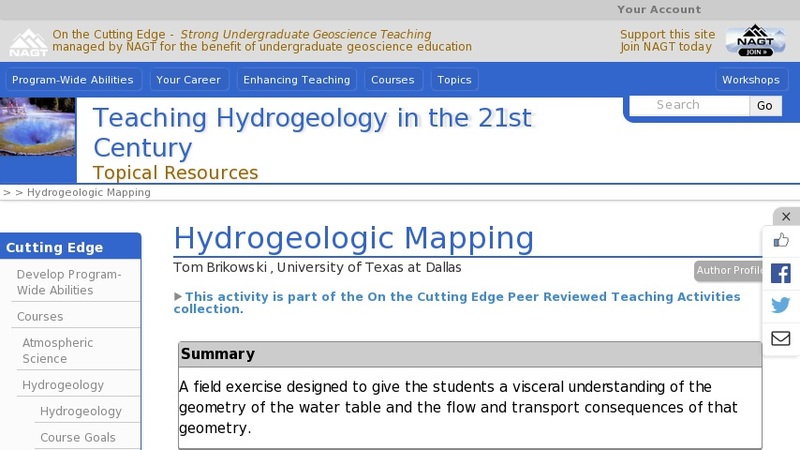 In this exercise, students learn how to make a preliminary evaluation of the hydrogeology of a site. Students map the location and elevation of important hydrogeologic features, then produce a hydrogeologic map of the site, including a water profile and estimated flow paths for groundwater. This type of map is crucial for evaluating potential sources of groundwater, as well as potential sources of groundwater contamination.